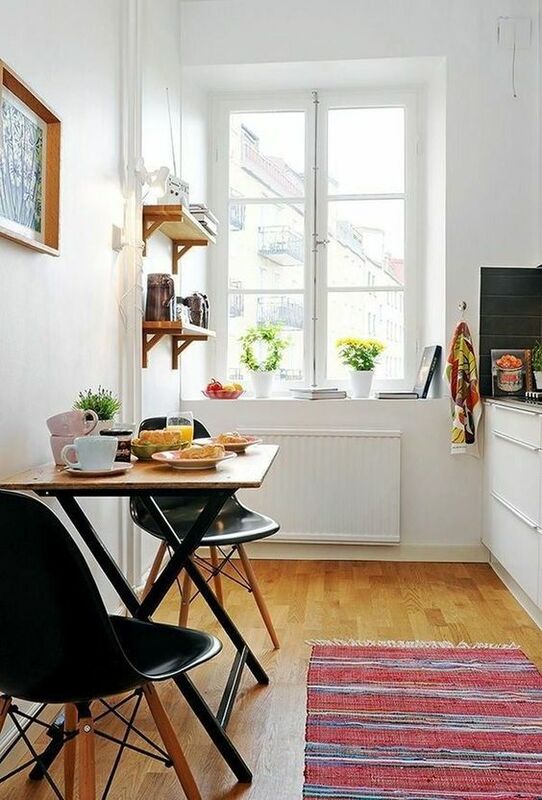 People can give up easily when this much space is left to make a dining area. 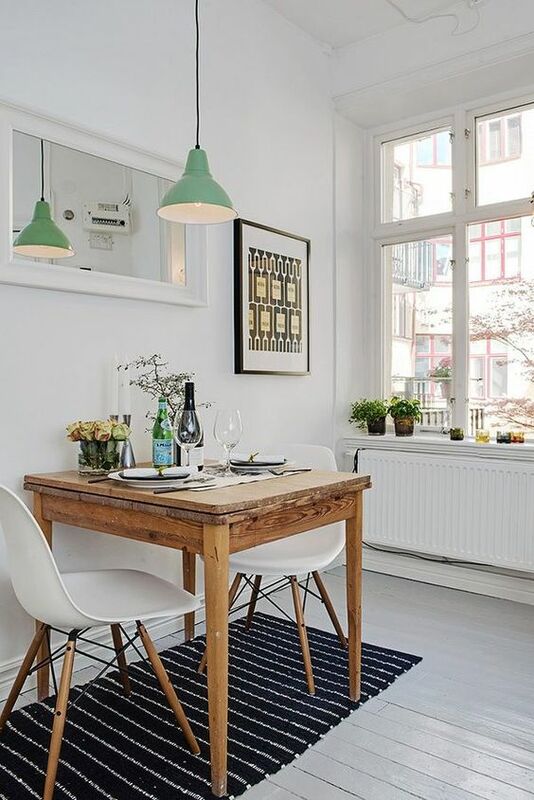 However, with creative move, even space so limited like this one here can turn into a comfortable corner with half round table that can be fold down and wooden chairs, placed near the window so that it won’t feel too crowded. 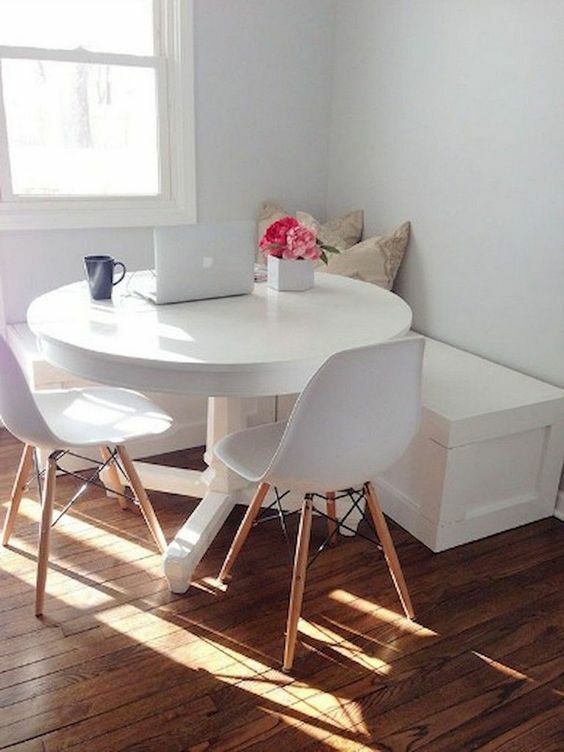 In this one, the small table looks larger and more sturdy. However, it is not more permanent too as it can be fold anytime you want. 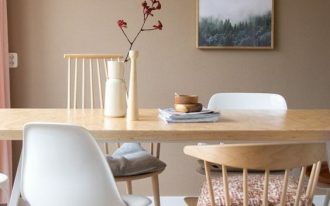 The midcentury modern chairs that accompany looks perfectly matched the lanky legs of the table. 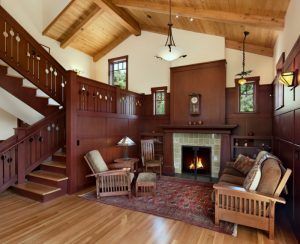 Placed in quite a space, this one is placed to maintain the space to look spacious. 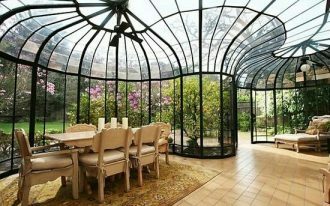 If you have interesting shape of room, it is a great idea to use the shape. Like this one here. 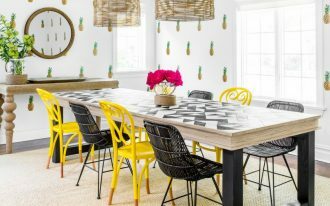 The angled corner is used for wooden dining table with black wooden chairs that look strong and bridging the plain and pattern look. 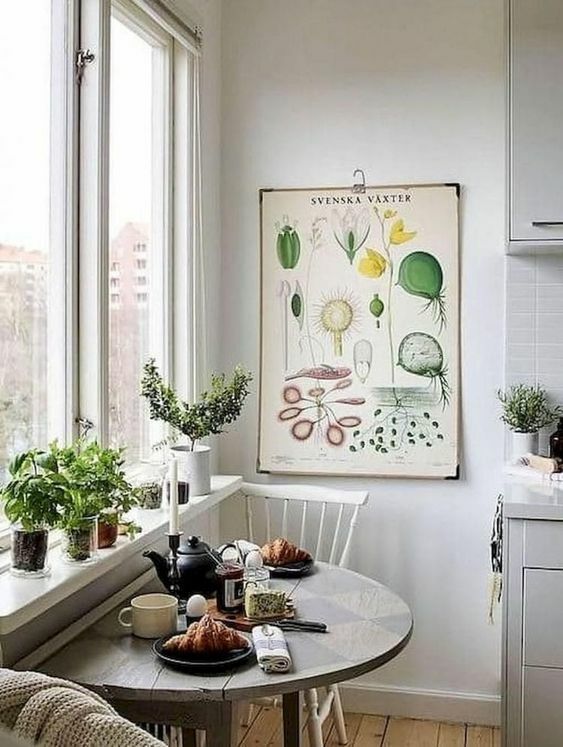 This one here depicts a simple and modern look that does not ask too much attention yet has given a pretty clean sight along the wall. With green pendant above, it looks even prettier. 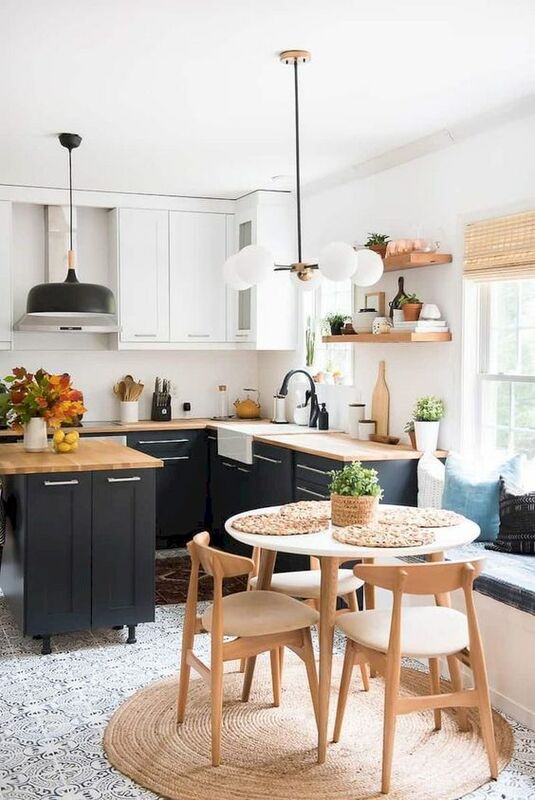 Using the corner of the kitchen to make sure that all the space is occupied can be done with dining nook. 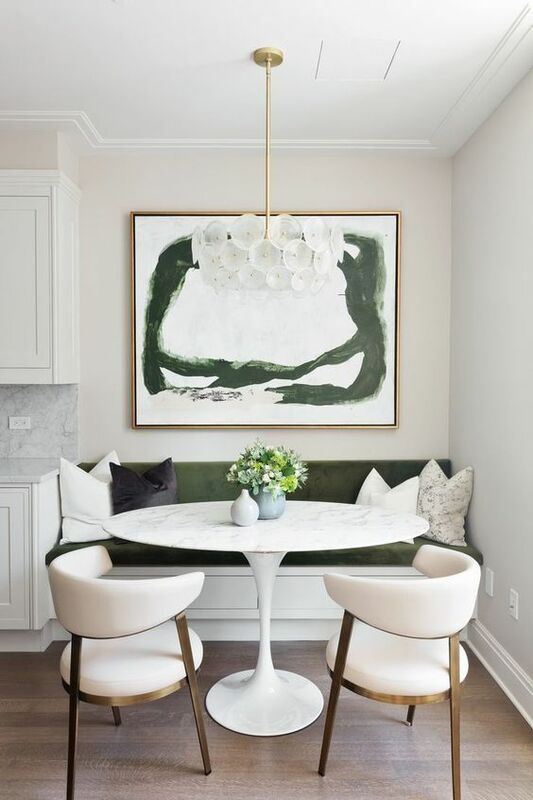 Seen in this one here, this white bench with green cushion nook has make sure that the corner is used for dining purpose. Accompanied with beautiful tulip table and white chairs, it becomes really elegant. 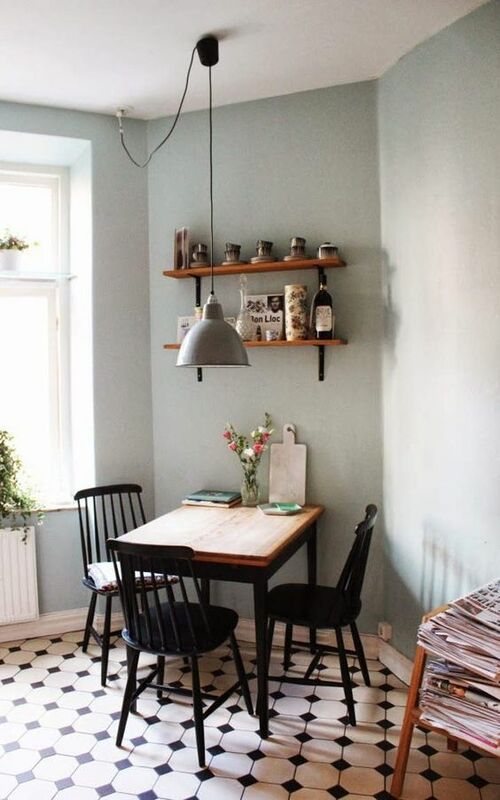 This one here is another dining corner that look perfect for small space. With simple bench on the corner and two added modern chairs, this corner looks modern and really practical. For those who have big families but only have limited space, this kind of arrangement can be ideal. Already have a bench to sit, this one here adds much more chairs in this tiny corner. Not surely practical but you can consider this tactic. 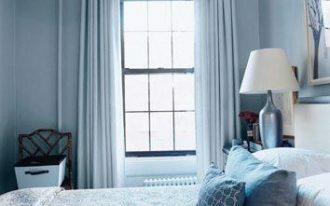 For a small space, getting natural and neutral is one of the best tricks. 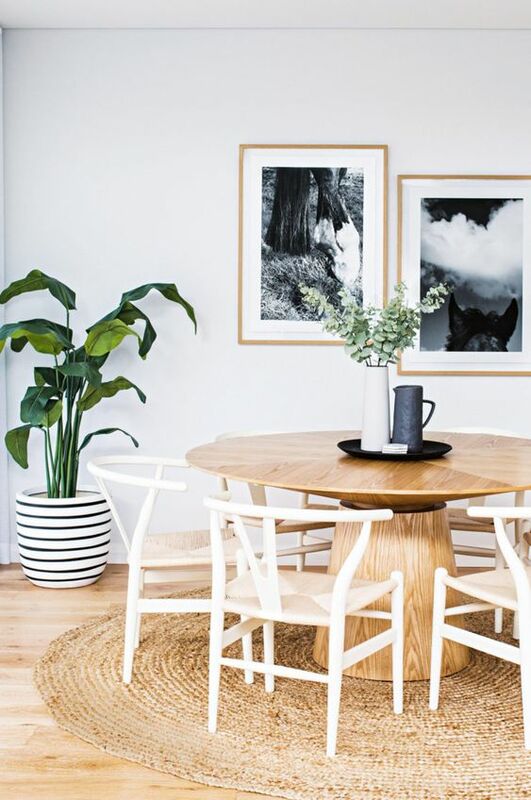 With natural material, neutral look and mix of textures are being in the room at once. 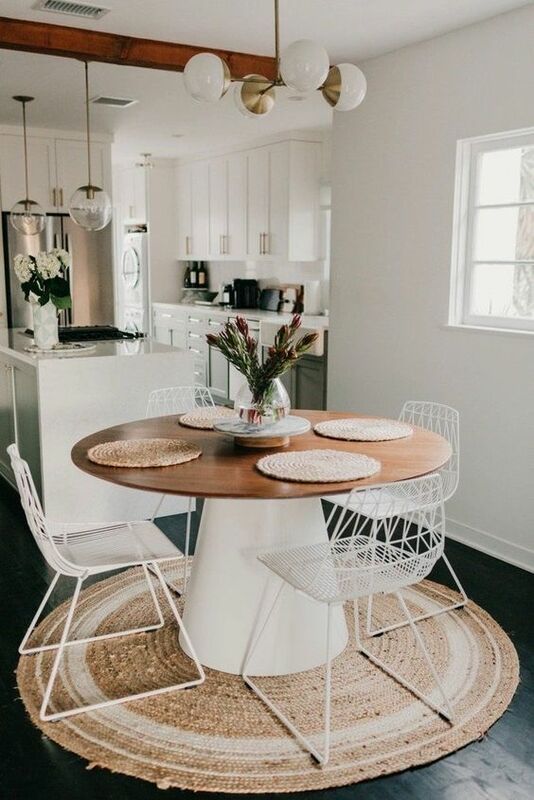 Seen in this one, this wooden round table is surrounded by wooden chairs with rattan seating. And this all happens upon a rattan rug. Interesting layering and mix of textures. 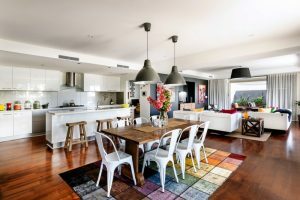 To create a modern look with some interesting layers, sometimes mix of chairs are added. Not really different chairs but chairs with the same style. 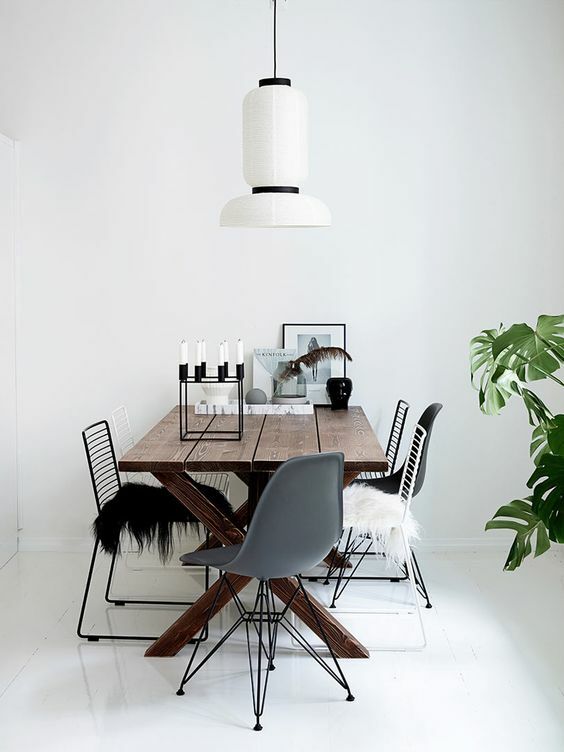 Like this one here, modern chairs are gathered to create interesting sight under this white lantern pendant. 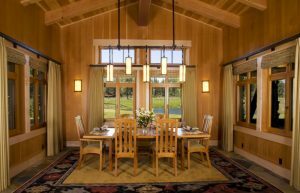 While incorporating dining room with kitchen, choosing natural and neutral color is one of the most popular treatment. And it is simple because it never fails.